Satori Self Development in partnership with Big Yellow Umbrella [BYU] will be running Mindfulness Meditation Classes. Improve your health and wellbeing! The classes are open to everyone interested in meditation and well-being. Meditation allows for calm, stillness and self-reflection. Some classes will be self-exploratory with minimal guidance, others may focus on a topic/ emotion(s) of interest or will be conducted as guided meditations. 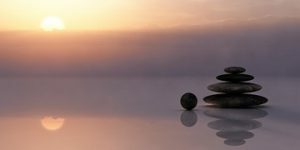 The focus is on the practice of meditation; intended to provide a support structure in encouraging and motivating individuals to learn and possibly adopt meditation practices of their choice. Q & A time is made available at the beginning and end of each class. Achim Schenk BSc.BA., holds a Master of Arts in Applied Buddhist Studies and Master of Arts in Health and Social Wellbeing. He works as a Clinical Hypnotherapist [Satori Self Development] using hypnosis and meditation providing therapy and coaching to teenagers and adults.